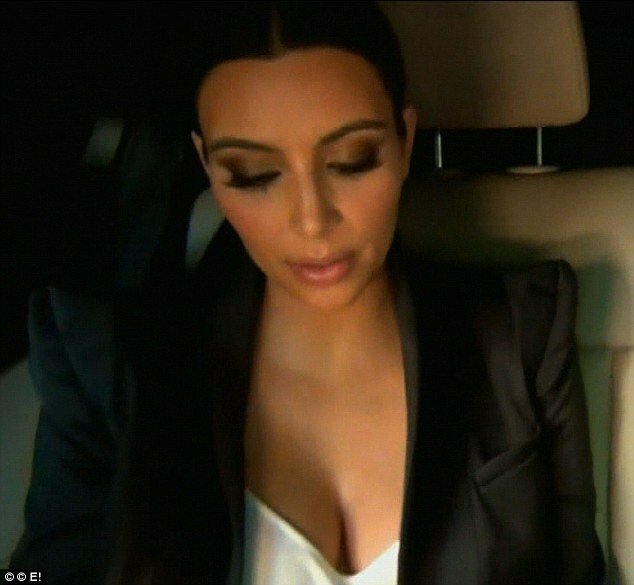 During a double episode of Kourtney & Kim Take New York last night, the subject of Kim Kardashian’s failing marriage to Kris Humphries was laid bare once again. Kim Kardashian, 31, concedes their relationship is fraught with problems in interviews to the cameras and admits to her mother she feels more herself when she is not with him. The reality star – who filed for divorce from Kris Humphries after just 72 days of marriage – is also seen rowing with the New Jersey Nets star after he jets off to Toronto with Scott Disick without telling her to party. Kris Humphries, 26, misses repeated texts from Kim Kardashian while downing shots and drinking, leaving his wife furious and culminating in a confrontation. Kris Humphries apologizes, but it seems sorry is just not going to cut it with his reality star wife. In the second episode aired on E! last night, Kim Kardashian admits to her mother Kris Jenner that things are just not turning out how she expected. “Married life just isn’t what I thought it would be with him,” Kim Kardashian confesses to her mother while on a promotional trip in Dubai. “I keep thinking something is off,” she went on, asking her mother if this was a normal feeling to experience in the early days of marriage. Kris Jenner responds, saying it is not normal, recalling how she and Kim’s father Rob Kardashian were “obsessed with each other” for at least the first 10 years. “I didn’t even want him to go to work,” Kris Jenner recalled. Earlier Kim Kardashian admitted that she was enjoying being away from Kris Humphries during her Dubai trip, describing it as a “huge relief”. “I’m really enjoying this feeling,” Kim Kardashian mused. Elsewhere in the episode, Kim Kardashian spent time with her nephew Mason during a visit to Connecticut with sister Kourtney. The sisters also worked up a sweat at the gym in New York where Kim Humphries complained about the paparazzi in the Big Apple.